Consideration was supposed to be provided by Go & Grow by Similac® via Glam/Mode. If there’s one thing I’ve learned as a mom, it’s that kids grow fast. They arrive in the world unable to do much at all on their own, and within a few days or weeks can start to control their heads. Within a few months, they may start to roll over and grab at things. The growth is almost constant, and although it may seem like it’s going by slowly, especially on those nights when the baby just won’t sleep and you’ve been awake for three days, when you look back on them, these phases pass by in the blink of an eye. My baby isn’t a baby anymore. She’s went off to a “Try It Out” session of sleep-away camp, on her own, for three nights last month. She’s not even 7! She’s started working out with the gymnastics team just like her big sister, and she’s getting so, so independent. And yet…she’s little. She has no front teeth. She’s unable to tie her shoes, and cannot put on (or remove) some clothes on her own. I’m going to blink again and she’ll be heading off to middle school. But she’s not a baby. Those moments of growth snowballed into more moments of growth and development, and suddenly I realized: It IS the blink of an eye. I only have her home for 7 more years. Then she’s legally going to be an adult. And she will still roll her eyes every time I remind her to eat her healthy food FIRST. All three of my kids do. Their friends do, too, when they are over. I’m annoying like that. I remind them all the time. We need to eat the healthy foods first; you guys, fill up on that because that’s how you keep your bodies nice and strong. That’s how you stay healthy. We don’t have a fancy growth chart. We had markings on a wall, and when we painted our kitchen, I sobbed, begging my husband to cut the markings out of the wall. All of that growth was tracked on the wall. ALL of it. The kids, every 6 months. The dog, the cats, the new dog. The friends. 10 years of memories and marks were to vanish. Sadly, we have plaster walls and there wasn’t going to be a way to preserve them. I had to transfer the markings. I took about 50 photos of the wall. Every inch. Every centimeter, every mark. The smudges. They are recorded and they have been transferred, but it’s not the same. My kids can’t wait for their 6-month birthdays and their actual birthdays because they get a new mark on the wall. It’s a family tradition that’s been held but changed. And now we are considering a new home for our family. It’ll be close by, but it won’t house “our” wall. We can pull the new piece of wood with the markings down and take it, but, like the markings we painted over, it won’t be the same. A blink. A moment snatched away. So many moments captured on that wall. I know what my gift to new parents is going to be from here on out: A growth chart, one that they can hang on a wall and TAKE with them if they move. One that’s constructed of materials that they can bring with them. 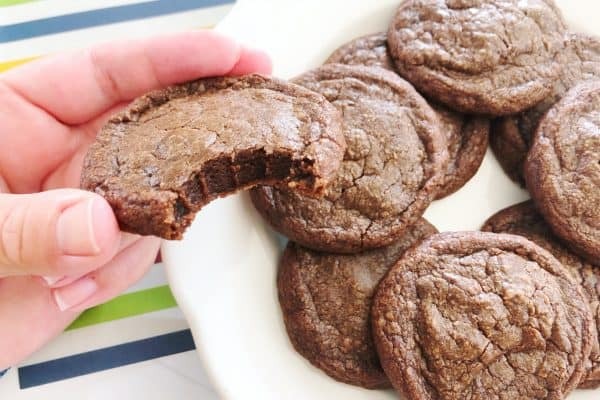 We devote so much time and energy as parents to giving our kids the best nutrition we can so that they may grow and flourish, and I feel like all of those markings are like high-fives for the parents – like, “Hey! You’re doing something right!” Even if those markings don’t move up a lot and our kids stay quite small, there are more markings to add as time goes on. I will make a growth chart that is simple and sweet, so that their family can start to capture those moments and record the markings of their growing family, and capture those blinks and moments that will be memories far too soon. I will wrap it and tear up a little as I think of how much my own babies have grown, and how fast it’s all happened. Begin by washing the shutter well, so that your decorations will adhere securely. You can use warm soap and water and give it a good scrub. Dry thoroughly. 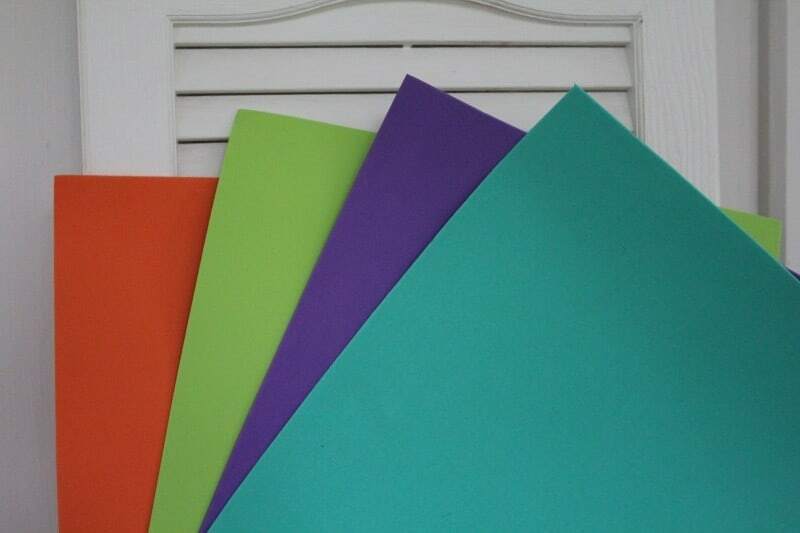 Take your foam sheets and cut out 4-by-4-inch squares. These squares are what you will cut your numbers from. 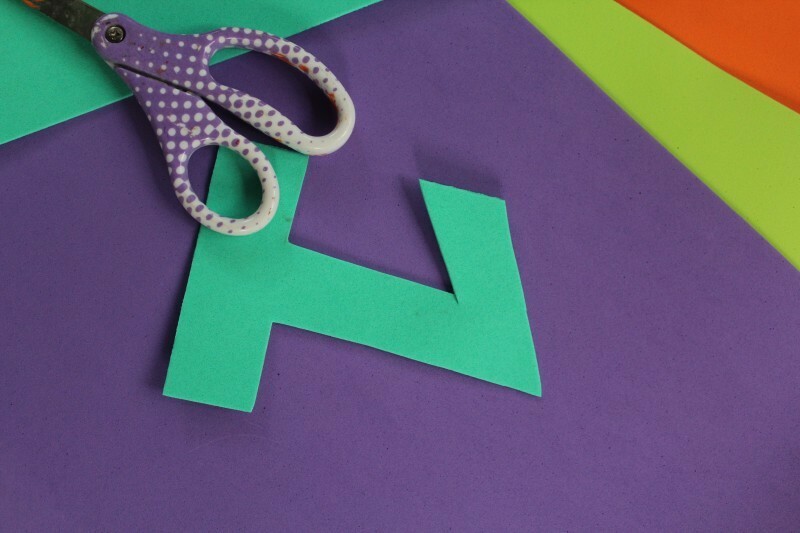 By cutting them from equally sized squares, you can be sure your numbers will all be similar in size. 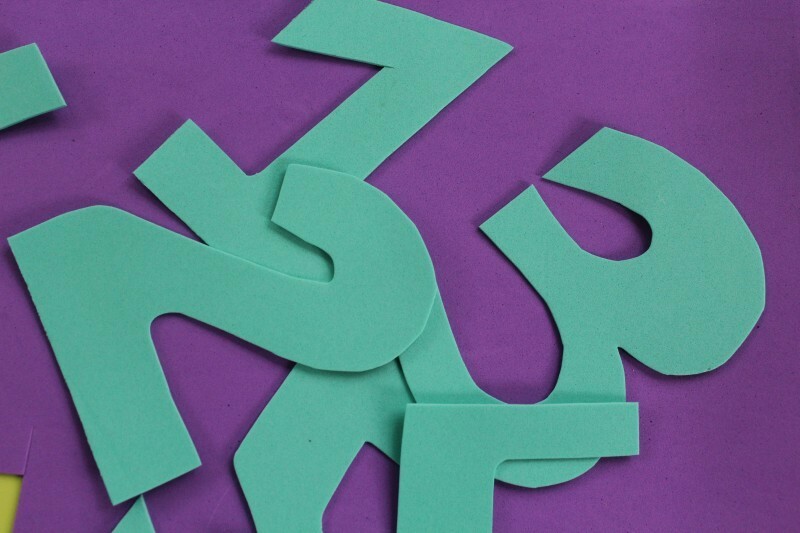 Start cutting out your numbers from the foam. You can use stencils if you wish, but we just freehanded ours. Cut out numbers 1 to 5 (and 6 if you have space). Use your tape measure to mark up to 6 feet on your shutter. Use the pencil to mark each foot. Take your super adhesive or glue and attach the numbers to the appropriate pencil mark. Press firmly. Now, create your embellishments. 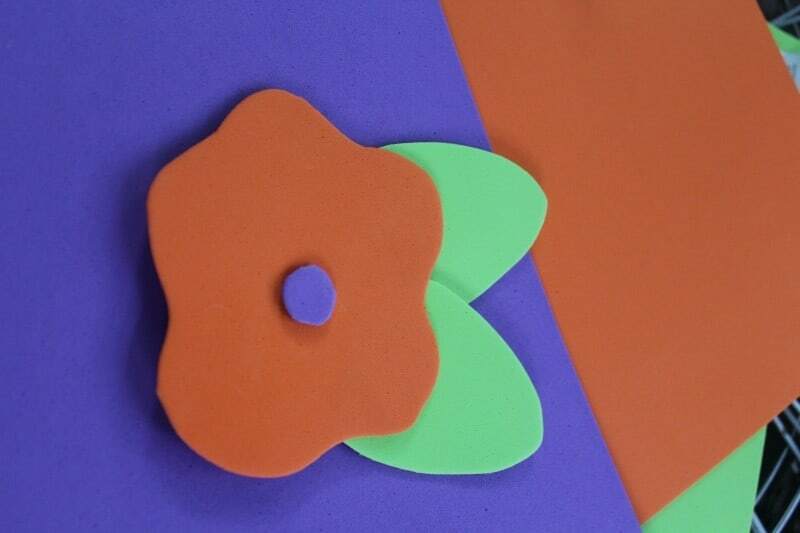 Cut out flowers or foliage of your choice. We freehanded simple blooms and leaves, as you can see here. Layer them and apply adhesive, and attach to the top corner of the shutter. To mark your child’s growth, cut out a spare leaf. When you measure your child, tape the leaf to where their head touches. If you wish, you can write each child’s name on the leaf to identify it. 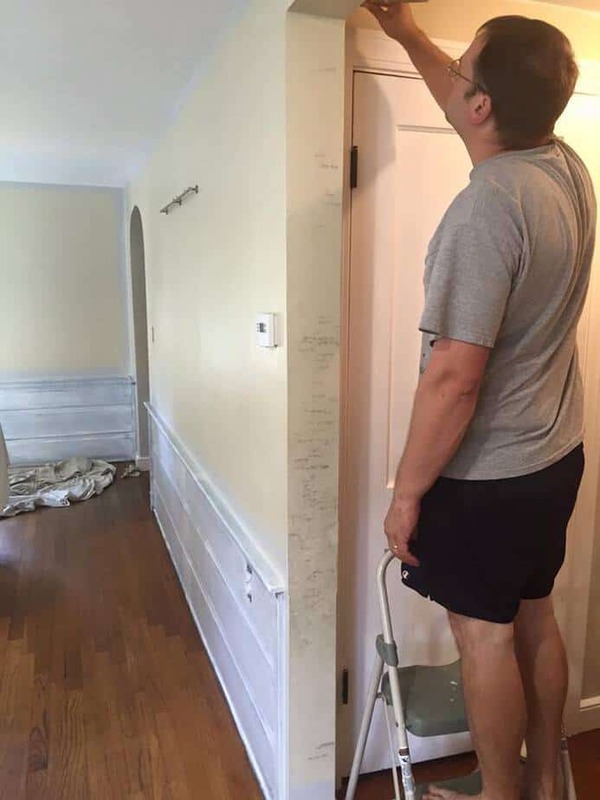 Your growth chart can easily be leaned or hung on any wall with a nail. 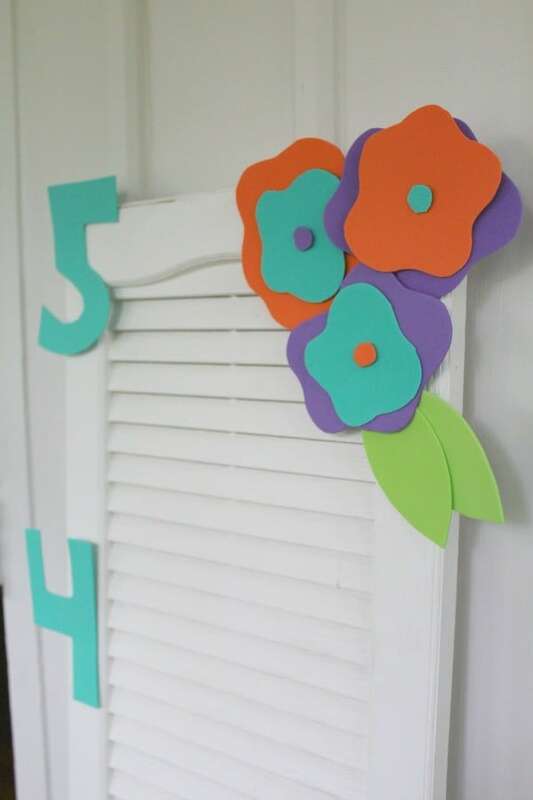 Choosing a plastic shutter over a wooden one may make the growth chart lighter and easier to hang! 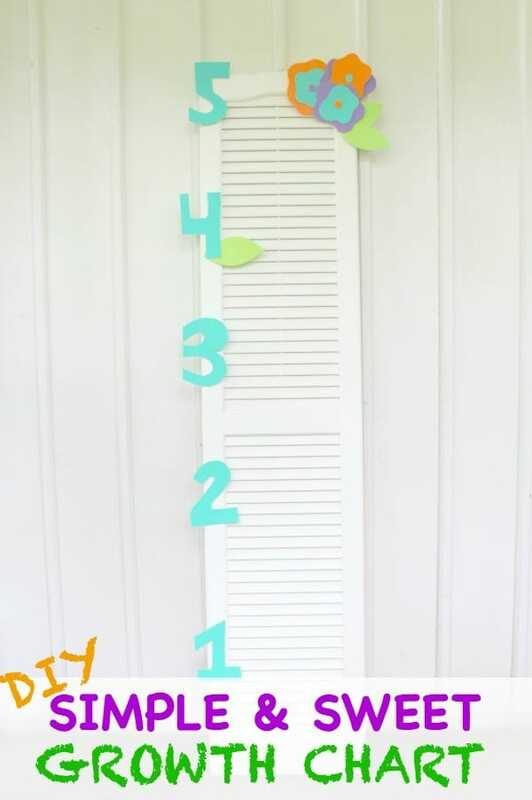 Great nutrition is so important for growth, which makes seeing changes on this Simple & Sweet DIY Growth Chart for Kids possible. Go & Grow by Similac® Mix-Ins™ and Toddler Drinks are secret weapons for adding nutrition to toddler meals! 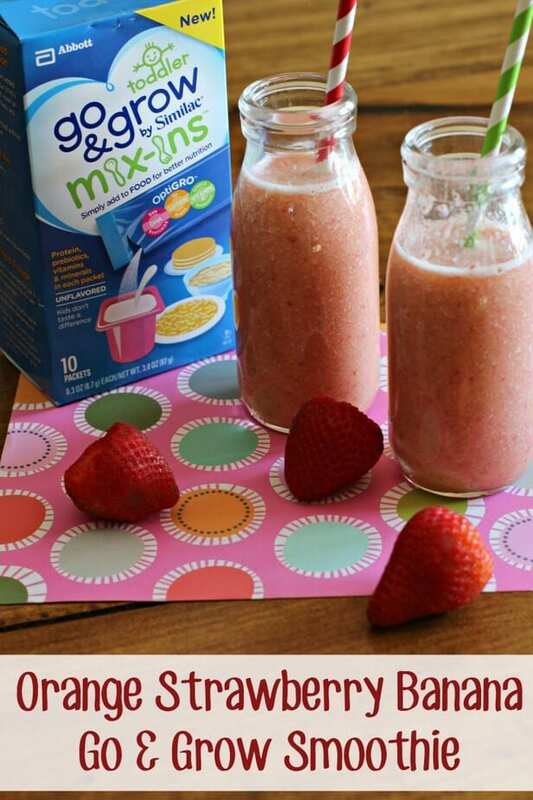 We have a simple smoothie recipe for incorporating Go & Grow by Similac® Mix-Ins™ for food into toddler meals. Blend all ingredients together in a blender, including Mix-Ins, until smooth. 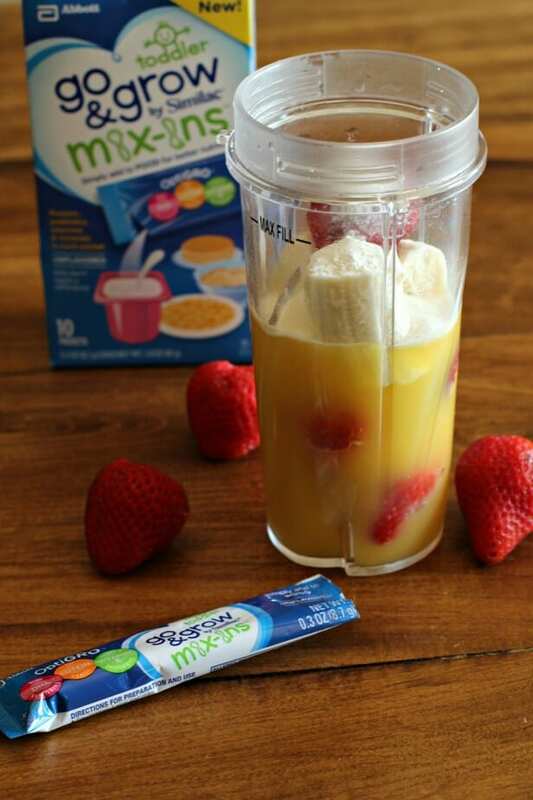 By blending the Go & Grow by Similac® Mix-Ins™ into this smoothie, or many of your child’s favorite recipes, you are adding key nutrients to your child’s foods and kids don’t taste a difference! In fact, each single-serving packet (8.7g) has 3g of protein, 3g of fiber, and 13 essential vitamins and minerals. Serve as part of breakfast or a healthy snack! 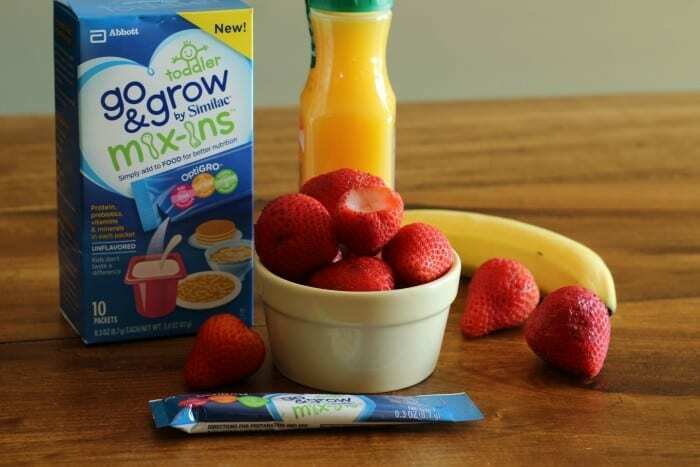 Go & Grow by Similac® Food Mix-Ins™ for food and Toddler Drinks are secret weapons for adding nutrition to toddler meals! I have a growth chart on the back of our closet door. We have been talking about repainting and I am so worried and don’t want it to be painted over. I’m hoping I can talk my husband into not paining the back of the door. I love to start the day with a smoothie. 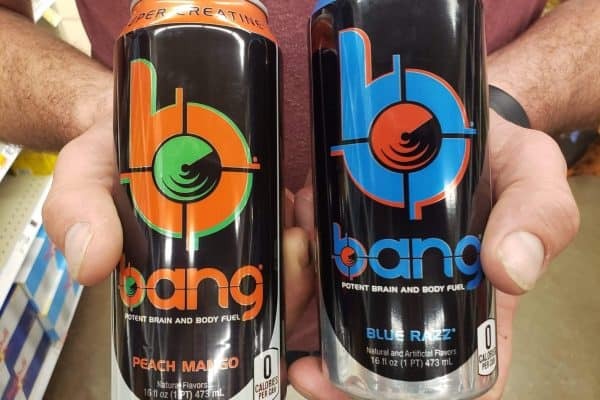 This sounds like a delicious recipe. I will have to share the growth chart with my friends with little ones. 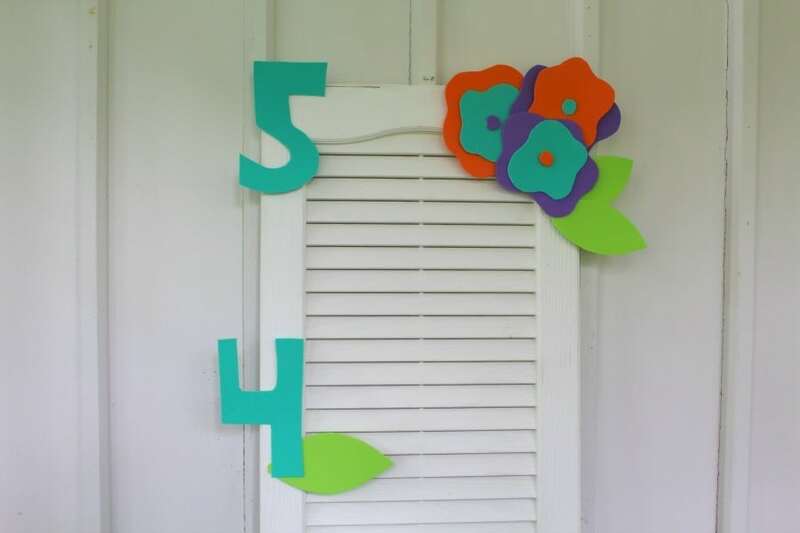 What an adorable idea for a growth chart. We use a wall in our bedroom. I’m not sure we’ll ever move, and it would be sad if we do. But, I love that it’s a part of our house. I try to drink a smoothie for breakfast every day so I’ll have to try your Orange Strawberry Banana Go & Grow Smoothie. I know I’m far from being a toddler but I could use the extra vitamins and nutrients that the Similac packets provide. I love smoothies! Thanks for the recipe. And that growth chart is just so cute. Thanks for the idea too! Aww..kids grow up so fast and the growth chart is such a creative idea. This is perfect for new parents! This is a great idea. 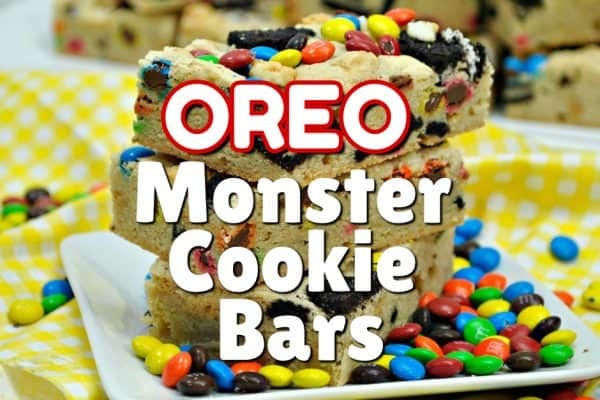 I should make this for my youngest. I havent really been tracking his growth over the year. I should be though. I love this chart! It looks easy to make even if you aren’t particularly crafty like me. And that smoothie looks yummy and good for you! What an easy enough idea to make up, I wish I had made something like this for when the kids were younger. It would be fun to watch them grow on a growth chart! Oh my gosh, my heart broke for you and the loss of your growth chart wall. I hope you find a lot of new happy memories in the one you made. That is just so precious. My stepdaughter just had a baby two weeks ago so now I am going to show this to her so we can make one. And I’ll show her the recipe, too. Sigh…soon enough her little one will be a toddler (hopefully not too soon) and drinking Go & Grow, too! What a cute growth chart but I really loved the one on the wall too. Many memories were made there. I’d like to make one of these for my grand kids. My son has been obsessed with his height lately so this is definitely something I need to make. He also loves smoothies so we’ll be trying this soon! 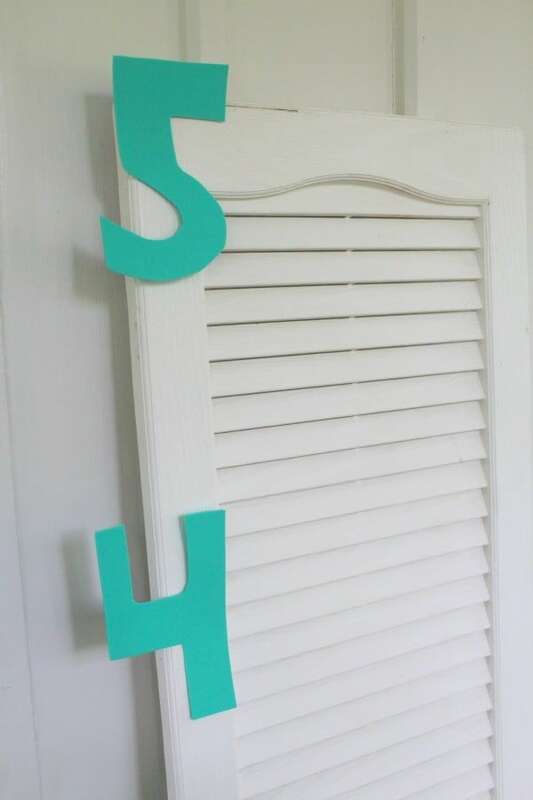 What a cute homemade growth chart!! Such a simple clever idea. The smoothie also looks delicious! I would have cried to see that go away!! I love the idea for a growth chart to give to new parents like this. What a cute chart! We did the whole wall thing, too. Actually, we recently repainted, but we left the “growth chart” section of the way the way it was. I think it gives the house character.